I was asked to make some goodies for a meeting and for some reason, everytime someone asks me to bake for them, I come up with 3 things that I want to make. I usually want to make something fruity, something chocolately, and then something else. There are quite a few cookies and bars I have been wanting to make out of Martha Stewart's Cookies Cookbook. I really love how there is a picture of every single cookie in this cookbook at the front. It helped me decide which ones to choose. Pictures are really helpful to me when it comes to picking desserts. All of these recipes came together really fast. I had some key lime juice in the freezer and it just happened to be enough for these bars. I made the bars in a pie plate and ended up cutting them into triangles. 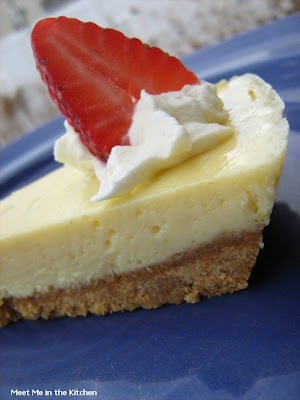 I didn't have any key lime slices to use as a garnish, so I used strawberries. 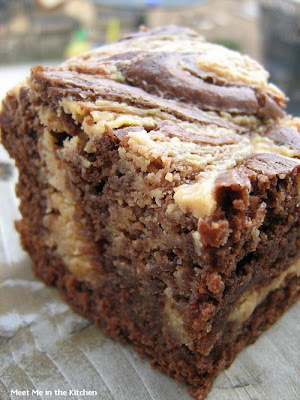 The peanut butter brownies were fabulous! We really didn't get to try a normal serving size of any of these desserts, but we sampled small portions of each one. I think the brownies were the favorite with the taste-testers. 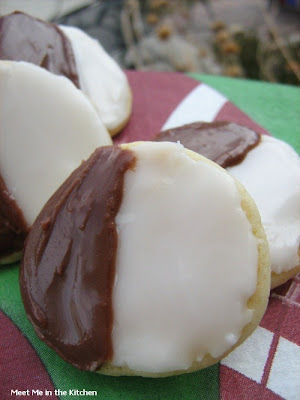 The mini black-and-whites were a soft, buttermilk cookie, with a delicious, lemony glaze. They were the perfect size to pop in your mouth. Preheat oven to 350 degrees. Line two baking sheets with parchment paper. Sift flour, baking soda, and salt into a bowl; set aside. In the bowl of an electric mixer fitted with the paddle attachment, mix butter until creamy, about 2 minutes. Add granulated sugar; mix until fluffy, about 3 minutes. Mix in egg and 1/2 teaspoon vanilla. Mix in flour mixture in 3 batches, alternating with the buttermilk. Roll tablespoons of dough into balls (or use a 1/2-ounce-capacity ice-cream scoop); place them 2 inches apart on lined sheets. Bake until bottoms turn golden, about 10 minutes. Transfer to wire racks; let cool. Make filling: Put egg yolks and lime zest in the bowl of an electric mixer fitted with the whisk attachment. Mix on high speed until very thick, about 5 minutes. Reduce speed to medium. Add condensed milk in a slow, steady stream, mixing constantly. Raise speed to high; mix until thick, about 3 minutes. Reduce speed to low. Add lime juice; mix until just combined.Spread filling evenly over crust using a spatula. Bake, rotating dish halfway through, until filling is just set, about 10minutes. Let cool completely on a wire rack. Refrigerate at least 4 hours (or overnight). Cut into 2-by-2-inch bars. Put cream in the clean bowl of an electric mixer fitted with the clean whisk attachment. Mix on medium-high speed until stiff peaks form. Garnish bars with whipped cream and a slice of lime. Ungarnished bars can be refrigerated in an airtight container up to 3 days. To swirl brownies, work quickly so that batter and filling don't set, and place dollops of filling on the first layer of batter about one inch apart. Repeat with next layer of batter and remaining filling. Then, run a butter knife through the layers three times lengthwise and three times crosswise, being sure knife reaches the bottom of the pan. Store brownies in an airtight container at room temperature for up to three days. Makes 9 large or 16 small squares. Make filling: Stir together butter, confectioners' sugar, peanut butter, salt, and vanilla in a bowl until smooth. 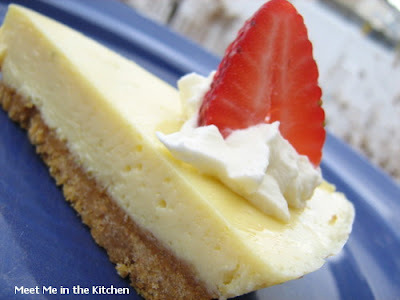 With a butter knife, gently swirl filling into batter, running knife lengthwise and crosswise through layers. Bake until a cake tester inserted into brownies (avoid center and edges) comes out with a few crumbs but is not wet, about 45 minutes. Let cool slightly in pan, about 15 minutes. Lift out brownies; let cool completely on a wire rack before cutting into squares. I found this recipe on myrecipes.com when I was searching for recipes that use quinoa. My family really likes tilapia, so we have it alot. I really enjoy cooking with quinoa. It is so fast and we love the taste and texture. This is a really fast dinner and very delicious. I used mostly red quinoa and added cumin to the vegetable mixture. I also used canned, diced tomatoes because I didn't have any fresh tomatoes. I cooked the vegetable mixture a little bit longer than the recipe called for just because I was waiting on the fish. Overall, we really liked this recipe. It was a nice twist on fish and veggies. 1.Here are the directions for cooking quinoa. 2. Meanwhile, in a saucepan over medium heat, cook beans and vegetables with 1 tbsp. oil, the lemon juice, paprika, and cumin, until warm, about 5 minutes. Season vegetable mixture and fish with salt and pepper. 3. In a frying pan over medium-high heat, cook fish in remaining 2 tbsp. oil until browned, 5 minutes. 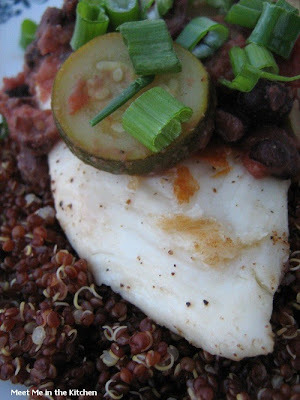 Serve fish over quinoa with vegetable mixture and onions. 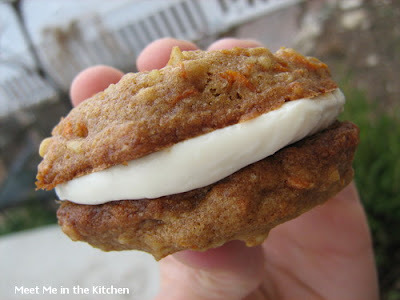 Cookie Carnival-Inside Out Carrot Cake Cookies and the best dish you can make with spaghetti squash or quinoa, (again)! I have a younger brother who attends a university about 45 minutes away from where I live. Every week my parents make a trip to that city and every week they meet up with my brother for lunch. On many occasions, I send treats, cakes, snacks, or whatever I have made recently with my parents to my brother. Well, I guess he has come to expect these goodies. This past week he called me and said, "So, what are you making me this week? a cake or something?" I had to laugh for a minute because I really didn't have anything planned, that would be ready for him. 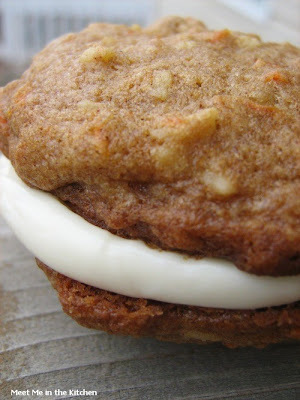 I didn't want to disappoint him, so I looked through my need-to-make/want-to-make dessert recipe stack and found this month's recipe for the Cookie Carnival- Inside Out Carrot Cake Cookies. It was fast, it was easy, and it just so happens that my brothers' favorite thing in the whole, wide world is- Carrot Cake! Can I say that this worked out perfectly to my advantage? Yes. 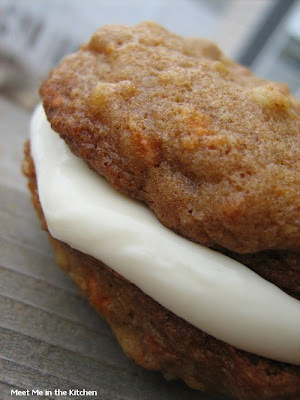 I have made him carrot cake before-(HERE and HERE) and so I knew these little cookies would be just the right thing. The only difficult part was actually having some left to send to him. These little guys were good. I had to put some in a plastic container and hide them in the fridge. The cookie batter is super easy and the frosting is just a little cream cheese (I used neufchatel- 1/3 less fat) and honey. Yummy. His review the next day was that these cookies definitely passed the test. 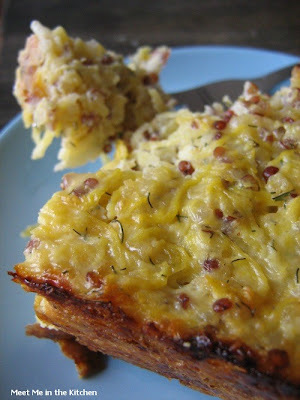 And I just wanted to add, that if you can get your hands on a spaghetti squash, you should definitely try one of my favorite dishes ever-Spaghetti Squash and Quinoa Bake, which I found on Artsy-Foodie a couple of months ago. Check out Alexa's post about it HERE or my post HERE, when I made it previously. Phew- that was a mouthful. I think I could be a spokesperson for Cooking Light Magazine. I use their recipes more than almost anything else and I have never, not even once, been disappointed with the results. This is another really fast dinner. It comes together in literally minutes. Especially if you have rice noodles that are already cooked in your fridge. He learned how to make Nasi Goreng when he lived in Holland for 2 1/2 years. He always served it with peanut sauce and a fried egg on the side. Because my dad spent time in Holland- you could also always find Sambal Oelek in our fridge when I was growing up. We used to be scared of this particular condiment because it was so hot! What does all of this have to do with the recipe here? Well, this recipe includes a delicious peanut sauce that actually has Sambal in it and all of these things remind me of my dad cooking for us. We loved this dinner. Quick and delcious. Plus, it brought back some great memories of my childhood. Combine first 11 ingredients in a bowl, stirring with a whisk; set aside. Heat a large nonstick skillet over medium-high heat. Coat pan with cooking spray. Add pork and pepper; cook 6 minutes or until pork is done. Add peanut butter mixture to pan, stirring well to coat pork; bring to a boil. Reduce heat, and simmer 1 minute. Cook rice noodles according to package directions, omitting salt and fat; drain. Add noodles to the pork mixture, tossing gently. Sprinkle with sliced green onions. Serve with lime wedges, if desired. 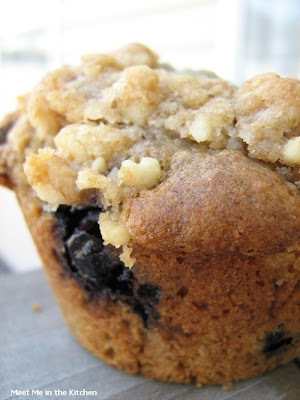 Here is a great breakfast recipe that can be made the night before and then rewarmed and thrown together in the morning. The star of the show is steel-cut oats. You make a big batch of oatmeal and then put it in a dish and let it set overnight in the fridge. The next morning it is firm enough to cut into triangles and you pan-fry them in a tiny bit of butter and then add a wonderful syrup and a fruit compote. 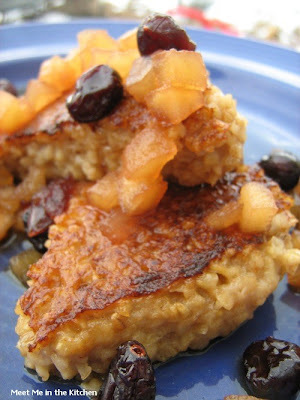 I used a dried cranberry and apple mix for the dried fruit and that was my 2-year olds favorite part of this breakfast. I made this on a weekend morning and it was a really great way to start the day. It is also a nice twist on the normal bowl of oatmeal. My family really, really liked it and were fighting over the last plate. To prepare syrup, bring cider to a boil in a small saucepan over medium-high heat. Cook until reduced to 1/3 cup (about 20 minutes); set aside. To prepare compote, combine 2 cups water, 1/4 cup sugar, 1/2 teaspoon cinnamon, and dried fruit in a medium saucepan; bring to a boil. Reduce heat, and simmer 20 minutes or until thick. To prepare oatmeal, combine 3 cups water, 1 cup milk, 1/4 cup brown sugar, 1/2 teaspoon cinnamon, and salt in a large saucepan. Bring to a boil over medium-high heat; stir in oats. Reduce heat, and simmer 20 minutes or until thick, stirring occasionally. 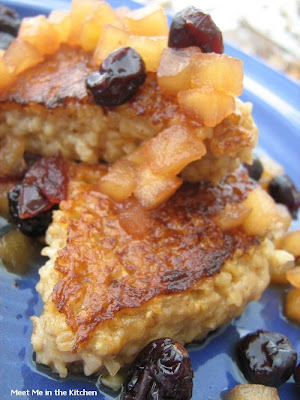 Spoon oatmeal into an 11 x 7-inch baking dish coated with cooking spray; cool to room temperature. Using a sharp knife, cut oatmeal into 8 equal rectangles; cut each rectangle in half diagonally to form 16 triangles. Melt 2 tablespoons butter in a large nonstick skillet over medium heat. Add 8 oatmeal triangles; cook 3 minutes on each side or until golden brown. Remove from pan; keep warm. Repeat procedure with remaining 2 tablespoons butter and oatmeal triangles. 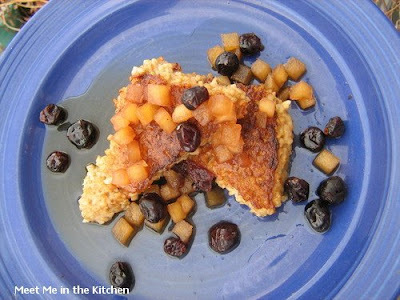 Place 2 oatmeal triangles on each of 8 plates, and top each serving with 3 1/2 tablespoons fruit compote and about 2 teaspoons syrup. 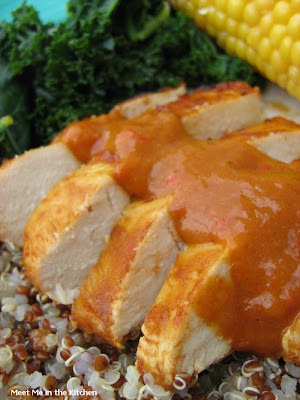 Today's Craving Ellie in my Belly recipe, Chicken with Mango BBQ Sauce, was chosen by Aggie over at Aggie's Kitchen. If you haven't already been to Aggie's blog, you really should go and check it out. She always serves healthy, family friendly meals and her pictures are gorgeous. I am hoping that once we relocate to Georgia, I will get a chance to meet her- she will only be a few hours drive away! The chicken dish sounded easy enough, but I have to say, I was a little skeptical about the sauce. I love mangoes and BBQ sauce is good too, but together? I wasn't sure. Then I started sauteing the onion, garlic, and red peppers, with some of the spices, and I knew that we were going to love the sauce. When I pureed it and added the mango, the smell reminded me of a delicious soup. 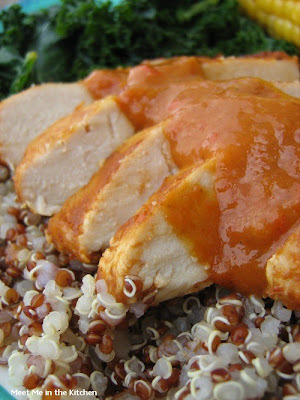 Once you get the sauce made, you marinate the chicken for a bit and then pop it under the broiler for a short time. Luckily there is enough sauce that you get to pour more of the delicious stuff on top and you are ready to go. I had cooked quinoa and rice in the fridge, so I gave the kids their choice and served it over the top. We also had corn on the cob and sauteed kale on the side. It made for a very pretty plate and a delicious dinner. Thanks Aggie for a great pick! I am definitely going to be making this one again. Go check out the Craving Ellie Blogroll to see what everyone else thought! Heat the oil in a medium-sized skillet over medium-high. Add the onions and cook until translucent, about 2 minutes. Add the red peppers, garlic, salt and pepper, and allspice and cook for 2 minutes more. Stir in the vinegar, molasses, Worcestershire sauce, lime juice and tomato sauce and cook for 1 minute more. Transfer the mixture into a bender and add the mango and jalapeno. Blend until smooth. Who doesn't love S'mores? I can't think of anyone I know, that doesn't like the combination of chocolate, marshmallow and graham crackers. 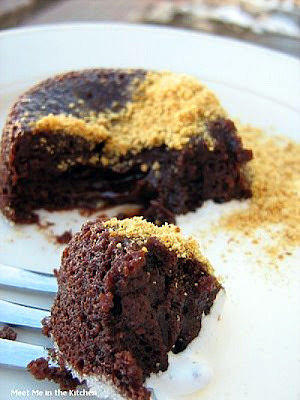 This little molten chocolate cake combines the flavors that you would find in a s'more and the results are delicious. The great thing about a little molten cake like this, is- you can whip it up in a matter of minutes and it will be done shortly after that. I actually mixed these little cakes up, while everyone was sitting at the dinner table, finishing their dinner. They are so fast. I also made them in a muffin tin, because that way everyone got a little cake and I felt better about indulging in a small portion. I found this recipe in the February issue of Everyday with Rachel Ray and I think it was intended to be a Valentine's Day dessert, but when you make the portions a little bit smaller, it can be shared with everyone. The marshmallow sauce is made by combining marshmallow creme and a little bit of heavy cream and it was perfect with the cakes. This little dessert left most everyone at the table asking for another mini-cake, but there were only enough for everyone to enjoy 1 serving. 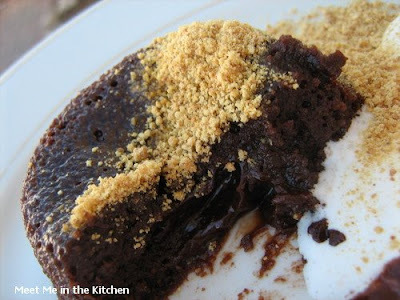 If you like molten chocolate cake or chocolate at all- try this very simple, elegant dessert! 1. Preheat the oven to 425°. Grease four 6-ounce custard cups (I used a muffin tin and used 9 cavities of the pan), then coat with sugar; place on a baking sheet. In a medium bowl, microwave the butter and chocolate at medium power for 2 minutes; stir until smooth. 2. In a medium bowl, whisk together the eggs, egg yolks and sugar until foamy. Whisk in the chocolate mixture, then the flour. Fill the prepared custard cups two-thirds full with the batter. Bake until the edges are puffy, 13 to 15 minutes. 3. Meanwhile, in a medium bowl, microwave the heavy cream at high power for 30 seconds. Stir in the marshmallow cream until smooth. 4. Carefully invert the cakes onto plates and drizzle the marshmallow sauce on the side. Top with the graham cracker crumbs. 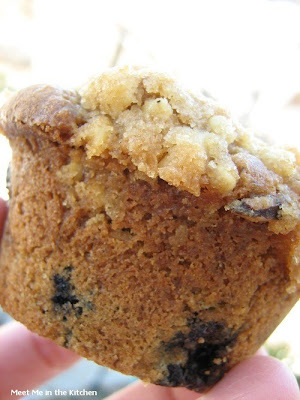 This weeks Tuesdays with Dorie recipe, Blueberry Crumb Cake, or in my case Blueberry Crumb Muffins, was chosen by Sihan of Befuddlement. You can find the recipe on her blog. This recipe was really easy. I decided to cut the recipe in half and make muffins- to make the servings stretch a little bit and also for a quicker baking time. Dorie says to mix the crumb topping in the food processor, but I didn't feel like getting it dirty, so I just mixed it with my hands. I replaced half of the flour with whole wheat and added a little more spice than Dorie called for. I got 7 large muffins from a half recipe and you better believe they were gone in a flash. 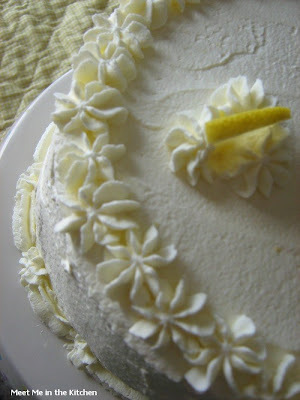 I would love to try this cake again with some of the other fruits that Dorie suggests. It was easy and delicious. I cooked my muffins for about 23 minutes and they were done. 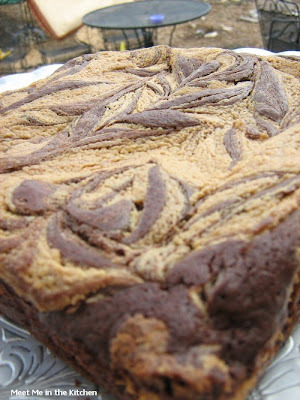 Go check out the TWD Blogroll to see what the other TWDer's did with this lovely crumb cake! Here are 2 more great recipes from The Vegetable Dishes I Can't Live Without by Mollie Katzen. It is always interesting to look through a cookbook and see which recipes just jump out at you. I love this cookbook and the unique way that all types of vegetables are represented. Combinations I never would have thought of are on almost every page. I had to try both of these because I have really been trying to cook squash more, all types included. I have noticed that butternut and spaghetti squash are still available at the store and wanted to try these 2 recipes out. 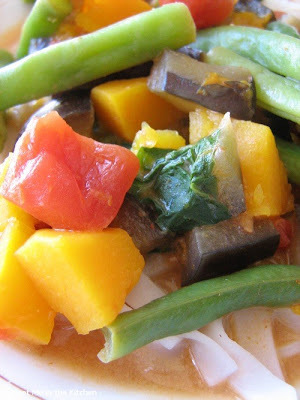 This curry featured red curry paste and coconut milk and a unique mixture of vegetables. 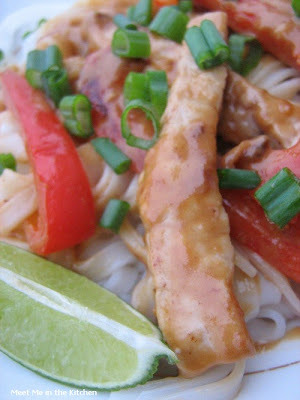 I served it over rice noodles and really like the sauce as well as all the veggies. I never would have paired eggplant, green beans, and butternut squash on my own, but it really works well in this curry. Deliciously well. The spaghetti squash pancakes were really easy to make (well, besides the time it took to cook the squash). I also made one of the recommend toppings from the book the Tomato-Basil Jam. I actually preferred these pancakes the next day, cold out of the fridge with no topping and if I made them again, I would add a little more flavoring to the pancakes themselves. Overall, a very good recipe and a nice change from the normal, everyday vegetables we eat all the time. I like variety! Measure the curry paste and ginger into a large saucepan, then add the coconut milk and broth, and whisk until smooth. Bring to a boil over high heat, reduce the heat, and simmer, covered, for 15 minutes. Stir in the fish sauce, and brown sugar. Add the tomatoes, eggplant, squash, and green beans. Bring to a boil, then reduce heat and simmer, partially covered, for about 10 minutes, or until vegetables are tender. Stir in the basil leaves and serve hot, over rice. Place the cooked squash in a medium-sized bowl and separate the strands by combing through them with a fork. Continue to use fork and mix in onion, flour, and salt and then to beat in the eggs. Place a skillet over medium heat. Spray it lightly with cooking spray, or for richer flavor, melt a little butter. When surface is hot, use a 1/4-cup measure with a handle to scoop batter into the hot pan. Cook the pancakes for a good 8-10 minutes on each side- until truly golden. Cut the tomatoes into small cubes and place them in a medium-sized saucepan. Cover the pot and place it over medium heat. When the tomatoes begin to boil, reduce heat and uncover the pot. Let cook for 10 minutes, adding a little water if it seems dry. Stir in the remaining ingredients and continue to let it cook uncovered over medium heat for another 35 minutes, or until reduced to approximately 1/3 its original volume. Remove from the heat and dig out basil. Let cool to room temperature and store in fridge. I recently purchased green and red curry paste because I wanted to enjoy Thai flavors at home more often. 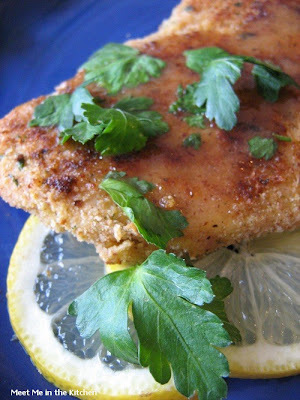 I found this really quick, delicious recipe on myrecipes.com and decided it would be perfect for a weeknight dinner. I had some cooked brown rice in the fridge, so I decided to serve the chicken over the brown rice, instead of couscous, like the recipe called for. This dinner came together very fast, which was nice. The green curry paste is mild and paired perfectly with the lite coconut milk. We really enjoyed this dinner. It really had everything going for it- quick, delicious, easy. It would be really simple to substitute different vegetables and the recipe also suggested using cooked shrimp instead of the chicken, just tossing it in at the end. The possibilities are endless and the results are fantastic. Bring 1 cup of water to a boil in a medium saucepan. Stir in couscous, and cover and remove from heat. Let stand 5 minutes. Fluff with a fork. While couscous cooks, combine 1/2 cup water, coconut milk, and next 6 ingredients (through curry paste), stirring well with a whisk. Heat 1 teaspoon oil in a large nonstick skillet over medium-high heat. Sprinkle chicken with 1/4 teaspoon salt. Add chicken to pan; cook 6 minutes or until done, turning once. Remove from pan; keep warm. Add remaining 1 teaspoon oil to pan. 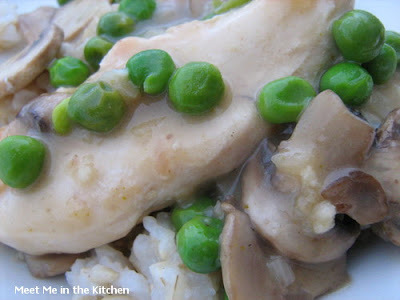 Add peas, onion, and mushrooms; cook 3 minutes or until mushrooms are tender. Add coconut milk mixture and 1/4 teaspoon salt to pan; bring to a boil. Reduce heat, and simmer 1 minute. Add chicken and lime juice to pan; cook 1 minute or until thoroughly heated. Serve over couscous; garnish with lime wedges, if desired. I really like pumpkin and since it is easy to use and find (thanks to canned goods), I have decided that I am going to try and use it more frequently, year-round. I saw this recipe in Cooking Light Magazine a couple of months ago and I have made it quite a few times in the past few weeks. Mine don't really look like scones- it came out looking like more of a round pumpkin loaf, which was fine because it tasted good and everyone liked it. This is a really quick recipe to throw together and I don't think that you can mess it up. We really, really like it. I have served it with soup, salad, and as a side with just about everything. Yummy! 2. Weigh or lightly spoon flours into dry measuring cups; level with a knife. Combine flours, baking powder, baking soda, and salt in a large bowl; cut in butter with a pastry blender or 2 knives until mixture resembles coarse meal. Combine pumpkin, yogurt, and 1 egg white, stirring with a whisk. Add to flour mixture; stir just until moist. 3. Turn dough out onto a lightly floured surface; knead lightly 4 times with floured hands. Pat dough into an 8-inch circle on a baking sheet lined with parchment paper. Cut dough into 12 wedges, cutting into but not through dough. Brush remaining 1 egg white over top of dough. 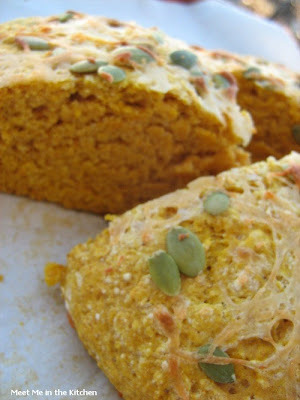 Sprinkle dough with cheese and pumpkinseeds, pressing lightly to adhere. 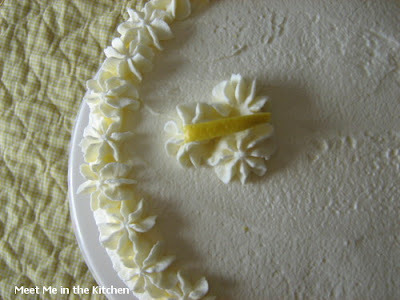 This month's selection for The Cake Slice was Triple Lemon Chiffon Cake. We are baking cakes from the wonderful book-Sky High: Irresistible Triple Layer Cakes. I made this early this month and took it to a party. It was the first cake to disappear. 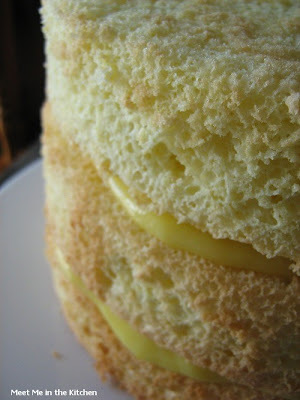 If you like lemon and chiffon cakes, you should really try this cake. I thought it was really easy to make and fun to decorate. The lemon curd was very lemony and creamy. 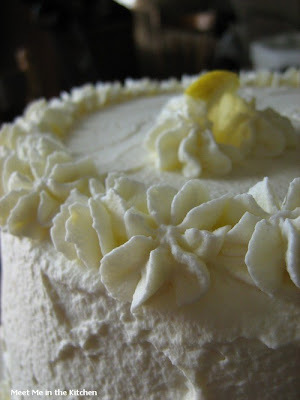 The whipped cream frosting was light and the chiffon was perfect. This is a really great cake for spring because it is light, fluffy and just the perfect thing to serve at this time of year. I got alot of compliments on the cake and requests for the recipe. That must mean it is a keeper! To see other beautifully decorated cakes, go check out The Cake Slice Bakers. Preheat the oven to 350*degrees F. Line the bottoms of three 9-inch pans with parchment paper but do not butter or grease the pans. In a med-large bowl whisk together the egg yolks, oil, lemon juice, lemon zest, and water. In the bowl of an electric mixer, whip the egg whites with the cream of tartar on medium speed until light and frothy. Slowly add 1/2 cup of sugar and continue to beat until soft peaks form. Sift the flour, remaining sugar, baking soda , and salt into a large bowl. Whisk gently to combine. Make a well in the center of the dry ingredients. 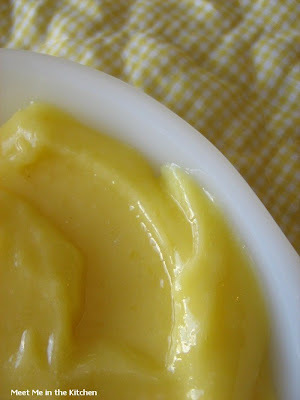 Pour in the egg yolk mixture and mix to create a smooth paste. Add one-fourth of the egg whites and fold in to lighten the batter. Fold in the remaining egg whites and divide the batter among the three pans. bake for about 16 minutes or until a cake tester comes out clean. Transfer to wire racks to cool in the pans. Once cool run a knife around the cake to in order to un-mold the cakes. 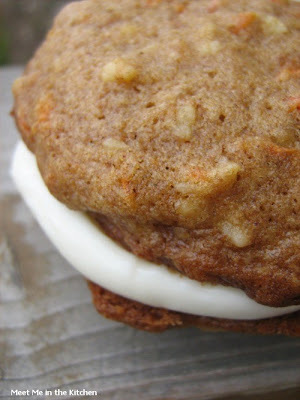 Carefully pull off the parchment paper from the bottoms of the cakes. To assemble the cake, place one layer on a cake stand. Top with a heaping 1/4 cup of lemon curd and spread it evenly. Repeat with the remaining layers. 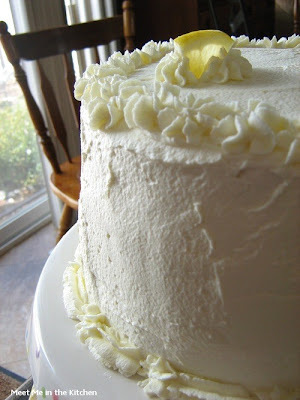 Frost the top of the cake and the sides with the lemon cream frosting. 4 tablespoons of unsalted butter, at room temp. Whisk together the whole eggs, yolks, sugar, lemon juice , and lemon zest together in a medium bowl. Transfer to a small non-reactive saucepan. Gently heat the mixture, whisking until it thickens enough to coat the back of a spoon. make sure not to boil the mixture. Pour the mixture through a sieve into a heatproof bowl. Stir in the butter and cover the curd with plastic making sure the plastic touches the curd. This should prevent a skin from forming on the curd. Refrigerate until cold. Then remove 3 tablespoons of curd and set it aside for the icing. Whip the cream and sugar in a large chilled bowl until stiff peaks form. Fold in the lemon curd, forming a stiff frosting. I feel really lame. I chose the Barefoot Bloggers Bonus recipe for this week, Sauteed Broccolini and I couldn't find any broccolini anywhere! I really searched. I went to every grocery store available to me in my small town and then drove 45 minutes and checked out other grocery store possibilities. I am so disappointed that I didn't find any. I am going to keep checking and make this recipe as soon as possible. I am going to post the recipe anyway because I want to. I did get to the Chicken Piccata that Lindsey of Noodle Nights and Muffin Mornings chose for last week and it was really good. Super easy too. I used thin-sliced chicken which meant I didn't have to pound it, making it all that much easier. The sauce was a little bit tangy-I think I used a little too much lemon juice, but we all really liked it. 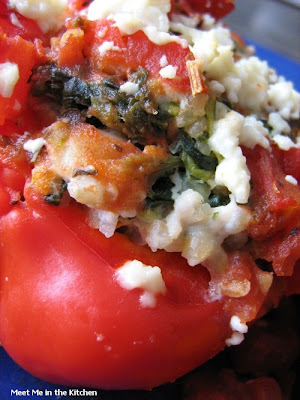 I made the Greek-Style Stuffed Peppers chosen by The Healthy Hostess for Craving Ellie a couple of months ago, just because I thought they sounded interesting. 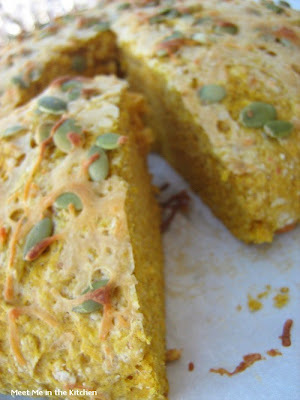 You can get the recipe on from this POST, The Healthy Hostess, or from this LINK. I made a couple of changes when I made them. I used ground turkey breast instead of ground beef and added a can of drained cannellini beans. They were really good and great-tasting as leftovers. Check out what the other Ellie's thought by checking out the Craving Ellie blogroll. This tasty lunch came about because I have been wanting to eat healthier lunches. I have been trying to get in more dark greens and I really thought this combination would be fantastic. It was. It came together really quickly too. First I sauteed the spinach and divided it between 2 plates. Then I fried 2 eggs in a very minimal amount of butter. I put one on each plate of spinach and then I sliced my polenta and warmed it in the same pan, I used for the spinach and eggs and melted a little cheese on top. Simple as can be. I topped each stack with a little dollop of pesto and enjoyed a healthy lunch and I was nice enough to share the other stack with a very lucky family member. Heat an electric skillet to medium high. Spray with cooking spray. Add spinach. Season with a little lemon juice, garlic powder, salt and pepper. Saute until wilted and divide between 2 plates. Melt the butter in the same skillet you used for the spinach and add 1 one to each spot of butter. When egg is cooked enough to turn, then turn it over and cook until the yolk is how you like it (Cooked through for me!) 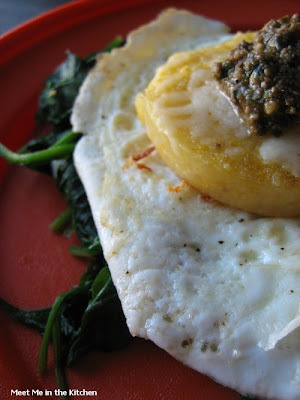 Season with a little pepper and place 1 fried egg on each plate of spinach. 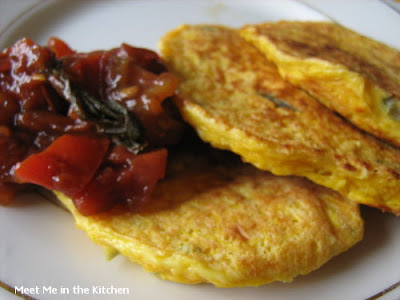 Slice polenta into 1/2-inch slices and cook in same pan you used for the eggs. Cook for a few minutes on each side, until browned. When the polenta is on the 2nd side, sprinkle cheese on top and let it melt. 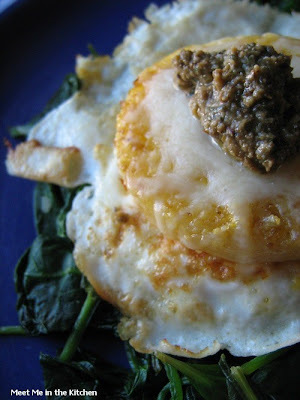 Place polenta slice on top of egg. Top each polenta slice with a tsp or so of pesto.